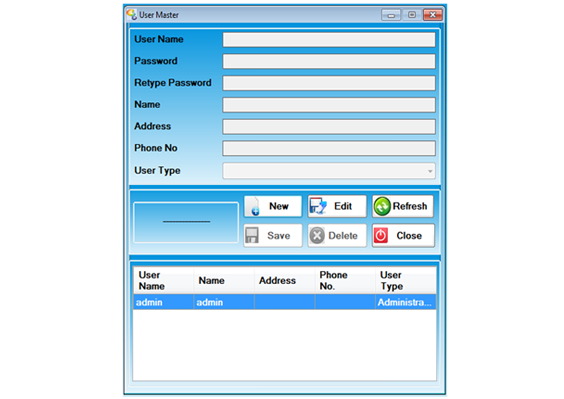 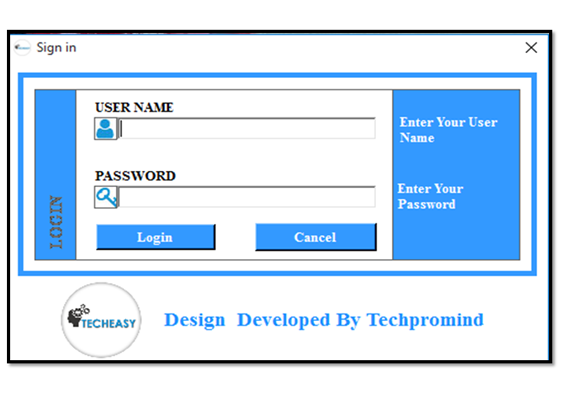 Login Form, here a user enters user name and password for login. 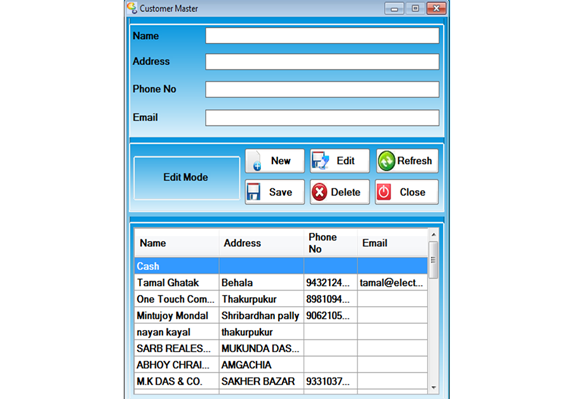 , here enter some category head. 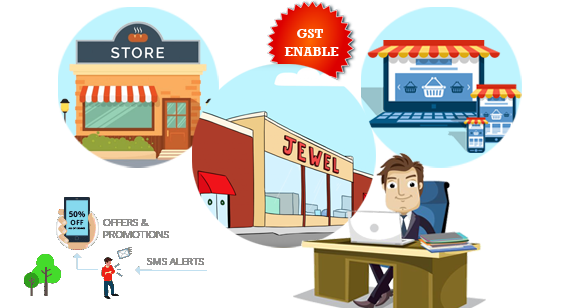 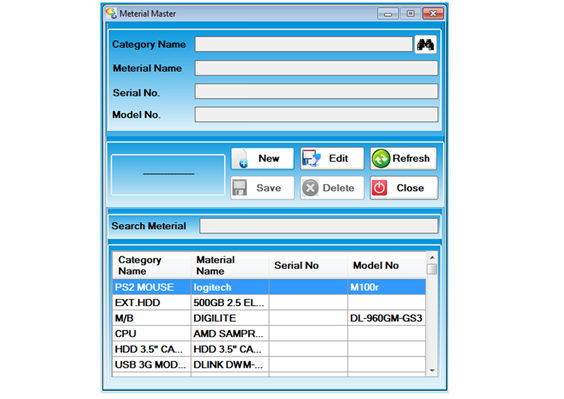 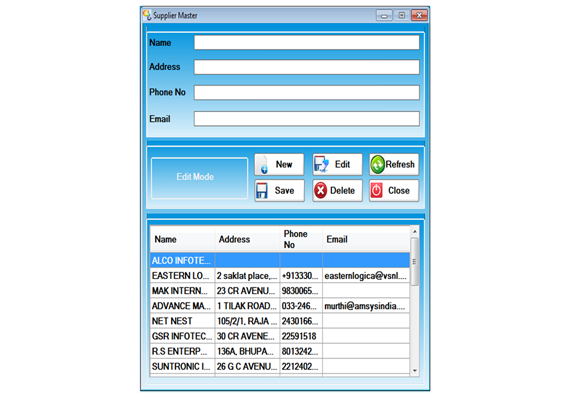 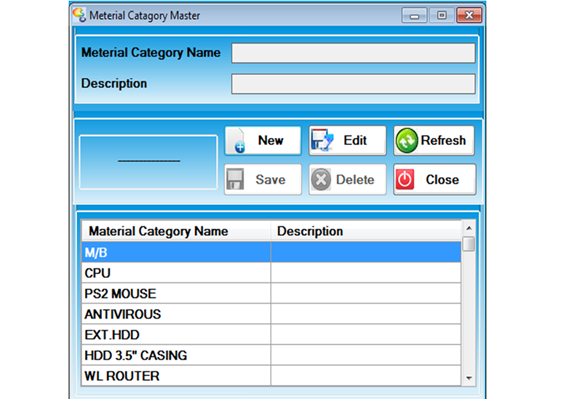 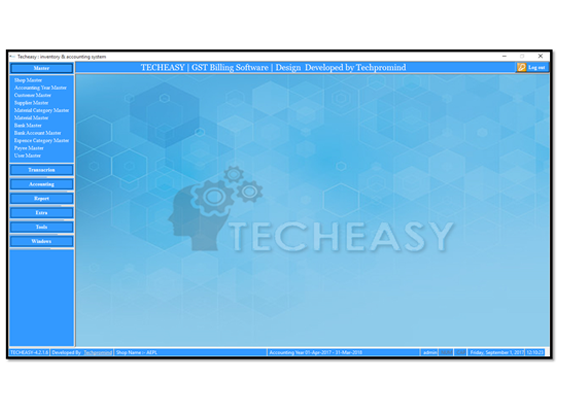 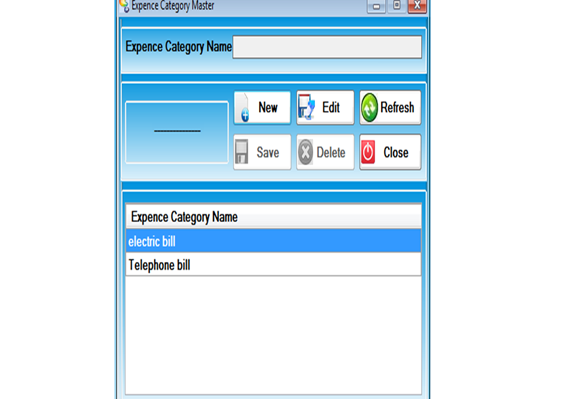 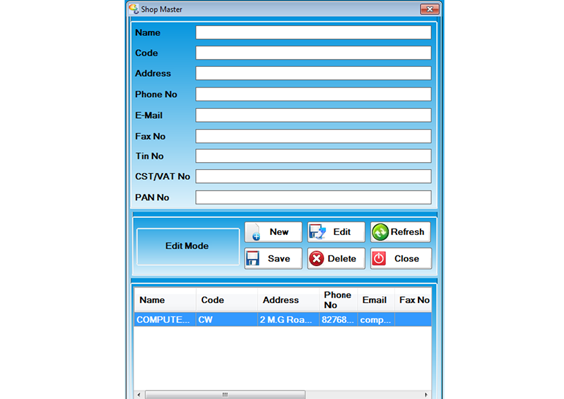 Here fill material details of specific category. 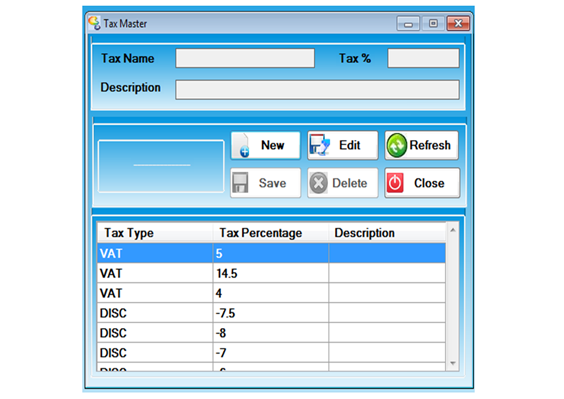 Here enter all type of tax. 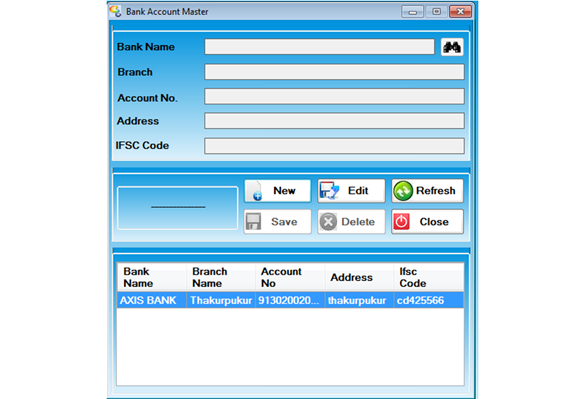 Here enter your bank account details. 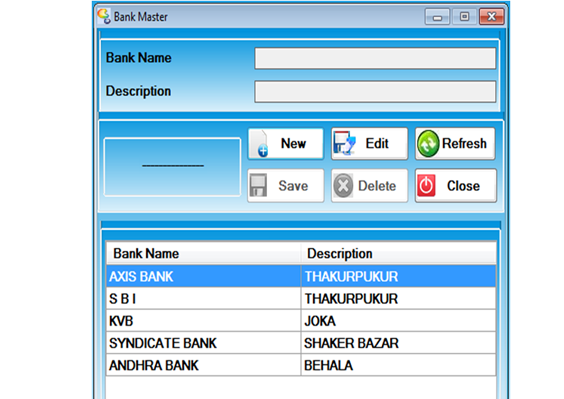 Here you are entering payee details. 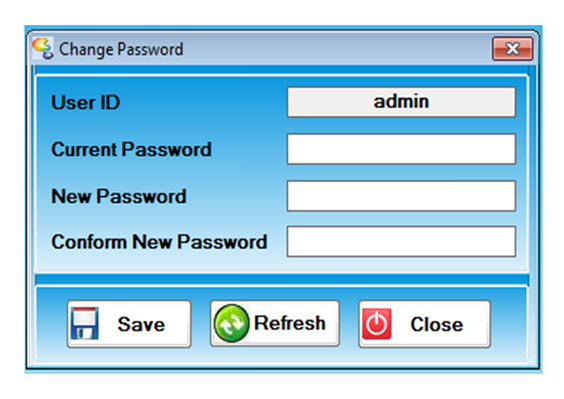 when new users create then administrator opens this form. 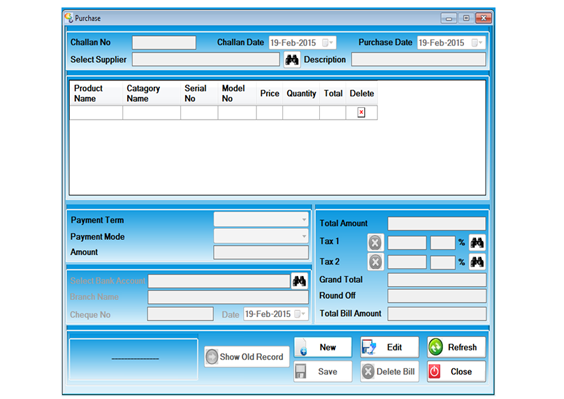 when user purchases some material then open this form. 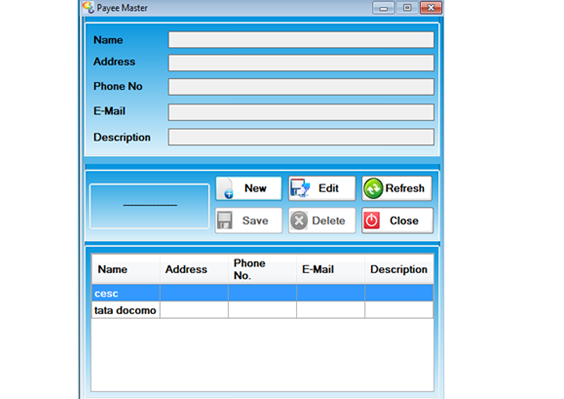 When user sale some material then open this form. 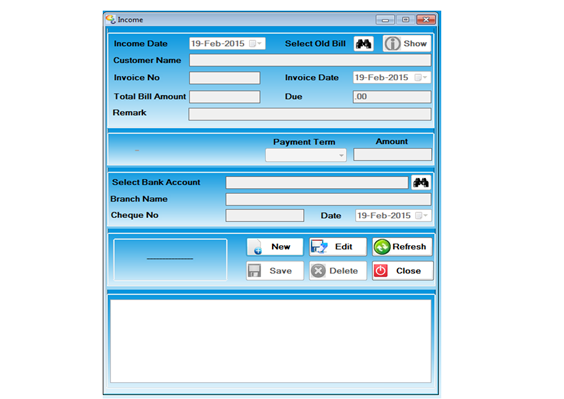 when a user collect due money from your customer then open this form. 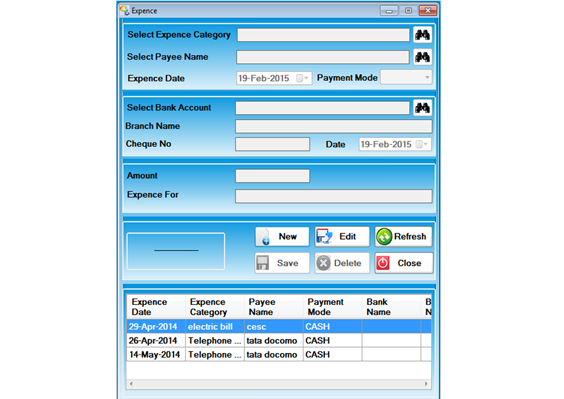 when you payment someone then open this form. 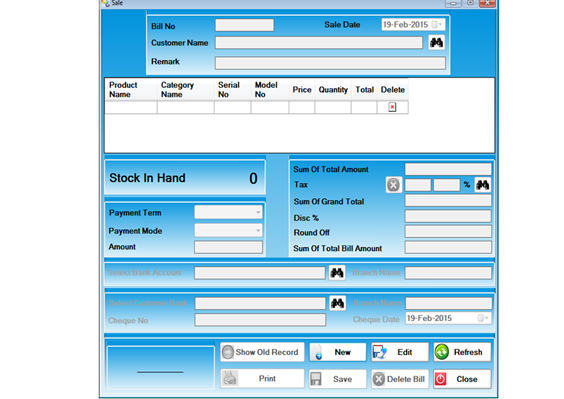 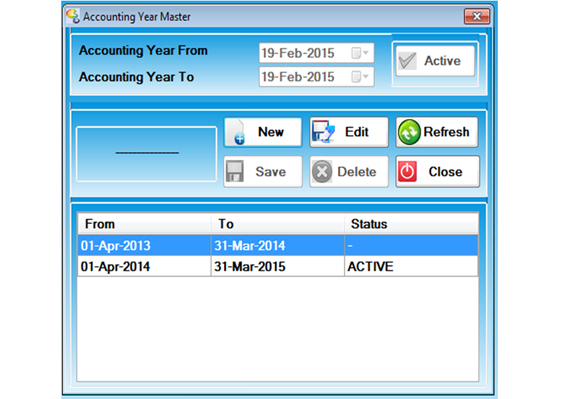 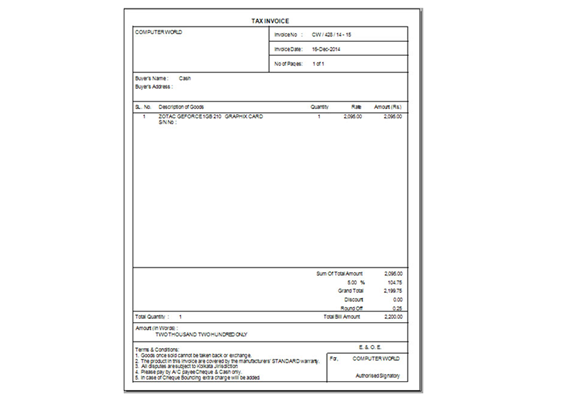 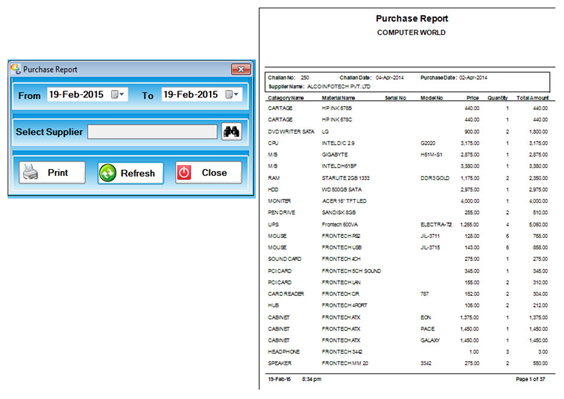 Using this report you can view all purchase bills from some date to some date or supplier wise. 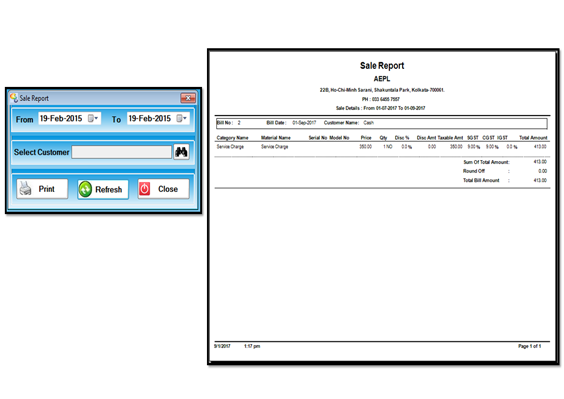 Using this report you can view all sale bills from some date to some date or customer wise. 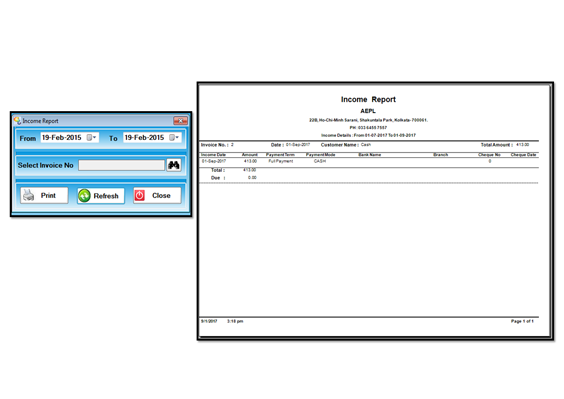 Using this report you can view all income from some date to some date. 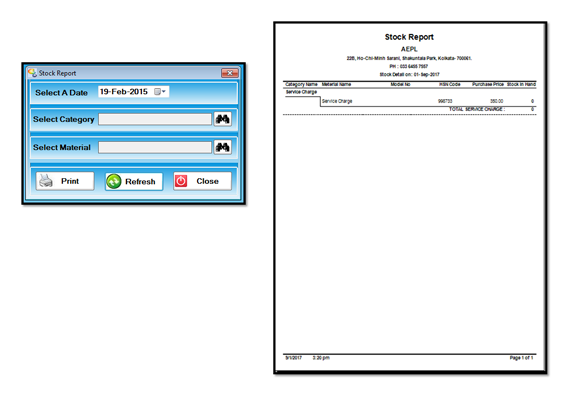 Using this report u can show your all stock as on particular date. 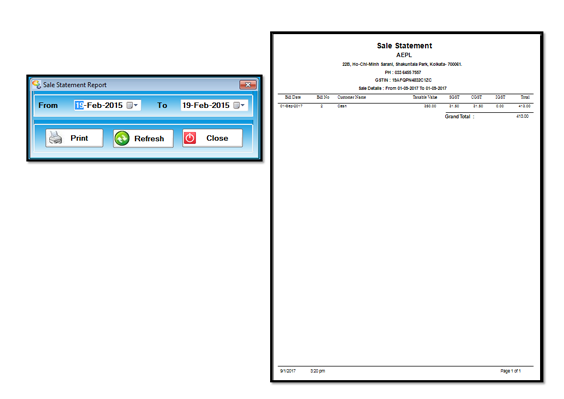 Using this report you can view all income statement for submit to sales tax from some date to some date. 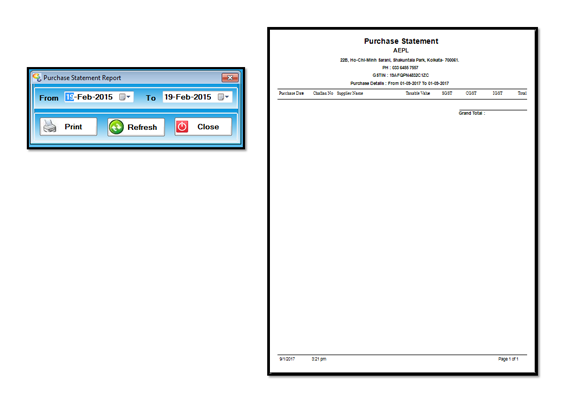 Using this report you can view all expanses statement for submit to sales tax from some date to some date.